Are you a new blogger ? Are you planning to start blogging as a hobby or career? Are you a curious reader that wants a peek ‘’behind the scenes’’ of blogging? Through this article, I’d like to share how my first 3 months of blogging went and the lessons I learned. Be prepared: for meltdowns, obstacles, ups and downs and for a lot of patience and hard work. Why am I saying this? Well, in November when I started, the blog hit off so good for my first month that with just a few articles I was getting around 300 views per day. It felt great and I thought that this is how it supposed to be. I was wrong! I got my first collaboration but also an invitation to join RewardStyle the affiliate program. 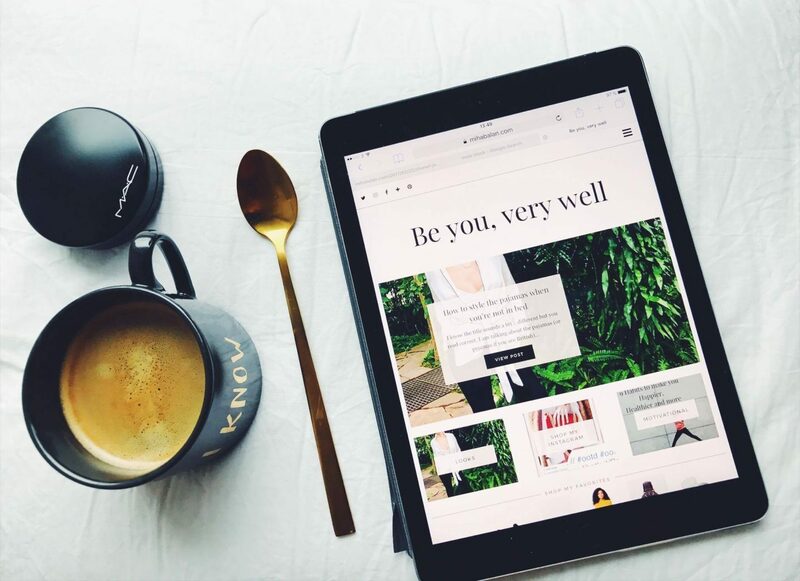 However, the main purpose of my blog was writing motivational articles to help and empower my readers into having a positive mindset, but after I added RewardStyle my website, I start taking pictures of outfits and tried to get readers to buy them. Changing my main niche scared people away instantly, because they were coming to the website to read my articles not so much for my outfits. From 300 views per day, I managed to get down to 20 views per day for a small period. And that was when the melt downs started coming, together with this idea of me doing more and more but with no purpose. I think I spend December only trying a lot of different things and failing constantly. Not only have I confused my readers but I have confused myself. That was the moment when I just had to slow down for a few days and ask myself: Why did I start blogging in the first place? What was my goal and what changed? First analyze your situation, take it slowly, don’t get distracted by other bloggers success and always remember why you started blogging or if you haven’t started yet, why do you want to blog. Photography skills. After you have decided about the topic of your article, make sure you have a good picture for it, otherwise I suggest you to not post at all. You don’t necessarily need to own the best camera or work with the best photographer as long as the picture is clear, has a good background and you know how to retouch it afterwards. Song of style (the famous blogger) got famous from pictures taken with her iPhone. If you have a friend/boyfriend ask him/her to help you. Besides content, a good picture will make people click on your link to see what you wrote. A bad picture will not interest them as much. Think of the picture you attach to the article as the image your brand is represented by. I had both good and bad pictures for my articles and I can tell you honestly that I regret when I spend my time writing a nice article but did not spend enough time to take a good picture for it. If your blog does not need a picture with yourself in it but instead a graphics design for example, Canva.com is a great way to design your images, write texts and many others options and besides it’s super easy to use. Have a plan for promoting your articles. After you wrote your article and managed to take a catchy picture and came up with a very good title, then all you have to do is just sit and wait for readers to come… Wrong! Especially in the beginning (that can be up to a year) you have to put it out there. This is a subject that I would like to discuss more therefore I will dedicate a post only to explaining ways to promote your article in the future but in the meantime I can say that BlogLovin has helped me a lot. When I started I only had one Instagram for my website (separate from my private one) with only 100 followers but I had Bloglovin. Bloglovin is a platform that helps you connect with other bloggers and using it right can also drive traffic to your blog. In the beginning after I published a post I would spend around 7 hours per day trying to find ways to promote and getting my blog out there, finding other blogs with the same niche as mine and learning how they are doing. So, that is the lesson nr. 3. As soon as you published your post, work with it, put it out there! I hope these lessons are as useful for you as they were for me. At this point my blog is slowly getting back on track and so is my vision. It took a while to understand what do I actually want, whom do I want to attract and what my goal with this blog is. I am happy that I finally decided to share these thoughts with you and I have many more to share. All I can say is that from now on it can only go one way: all the way UP!